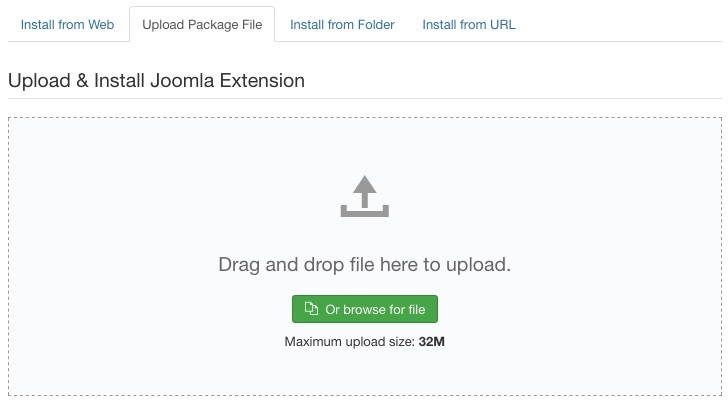 Click the Upload Package File tab, then click the Browse for a file button. Select the package on your computer. The upload and installation will start automatically. 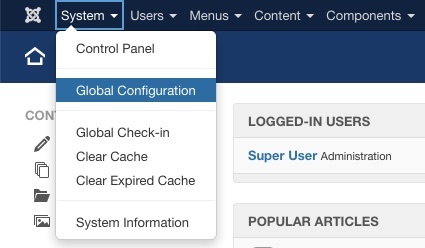 Go to System -> Global Configuration. Select Editor - JCE from the Default Editor list. Installation may fail on some servers due to technical limitations and a manual installation may be necessary. 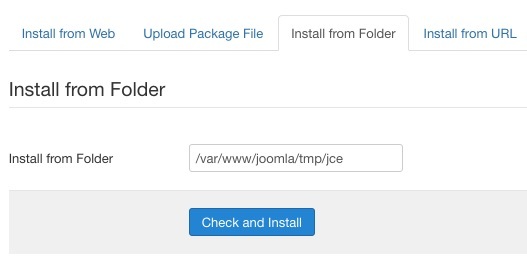 Upload this folder to the Joomla! tmp folder using an FTP client.